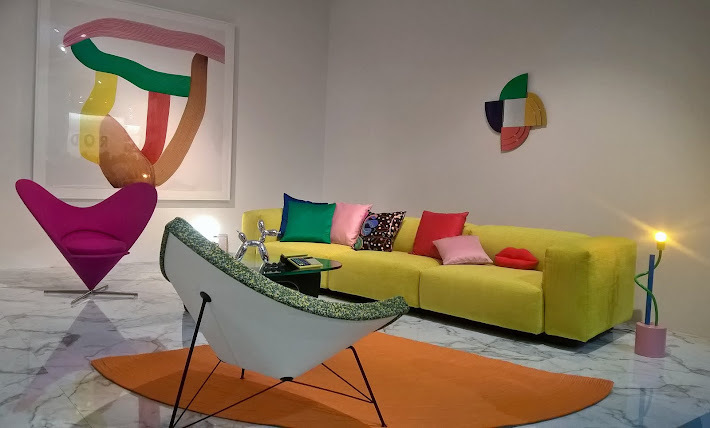 all4design-design4all: Le Corbusier, the architect present? An imaginary conversation with A4D-D4A. Le Corbusier, the architect present? An imaginary conversation with A4D-D4A. 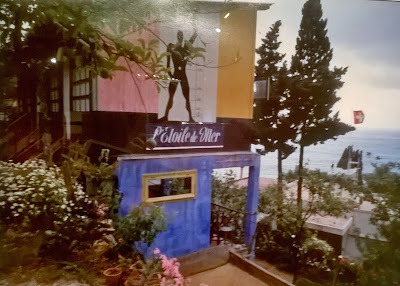 Image above: Photograph by Courtesy of the Le Corbusier Foundation, from a collection shown at the exhibition The Summer of Mr. Le Corbusier, Benaki museum, Peiraios avenue, May 2016, Athens, Greece. *Le Corbusier, Jean Jenger, Thames and Hudson/ New Horizons, 1996. Le Corbusier, La Charte d’Athènes, Le Cercle Points/ Essais, 2016. The most prominent architect of the New Age* Charles-Edouard Jeanneret-Gris, aka. Le Corbusier, has left this world in 1965, but still he manages to speak out his mind, like he actually did throughout his life and work. This year marks great manifestations around his legacy, like a) the Umberto Riva – Proposition for a Bolt Hole installation at STANZE exhibition, XXI Triennale, in Milan this April 2016, based on Le Corbusier Cabanon b) the exhibition The Summer of Mr. Le Corbusier, at the Benaki museum, (Peiraios annex), on May 2016, in Athens –where the actual Cabanon was reconstructed and presented through a stream of photographs from the Le Corbusier Foundation archives c) and finally the 17 buildings he designed and created and the ones UNESCO added to its World Heritage list this July 2016. The architect’s never-ending popularity seems to increase even more, in times as complex as these, when the public understands more about truths and search eagerly to discover them. It’s the Return of Le Corbusier , not in flesh but in spirit, where he revendicates his name and his work against his fiercest critics. It is a triumphal come-back and in order to celebrate it, A4D-D4A stages an imaginary interview with the architect, around 5 fundamental questions (and its orbital issues) in architecture, thus means also in life. Enjoy?-))! The interview is based on facts, but it is conceived on a script-writing approach. (The idea came from the famous, imaginary interview by Karl Lagerfeld to Gabrielle Chanel - her voice being incarnated by the French actress Jeanne Moreau-staged as a sound installation at the Art Space of Le Bon Marché department store in Paris, around 2004). All4design-design4all: So, is it true then? I mean, that you are a misogynist?(laughs). Le Corbusier: I forgot my Greek, since I have n’t been in Greece in quite a while …but I can see what you mean (laughs). I know why you ask this though (he turns serious). It is this old incident when Charlie (Charlotte Perriand) came to the office for the first time….she left without me really speaking to her, because I was busy, we were building an entirely new business for architecture at the time, it was not really an office, it was what you young people call today, a “lab” or a “collective”…I guess I was a bit abrupt but no harm was intended, I was stressed also…You have to understand I was born in 1887. Those times when a woman was losing her wallet and she was going to the police to declare it, they were telling her: “Madam, by law, you and the wallet, you stand for the same thing. Please tell your husband to come and register the loss of HIS property”. As a child in Switzerland, I was used to energetic women, doing things- and cooking vegetables- and running households. An energetic woman is NO feminist though. Those days in 1926 the movement was starting to grow, and we men were stunned…we did not know how to deal with the transition. A young girl storming into the office, telling you that she CAN and WANT to showcase the same work you produce as a man…Finally, I engaged Charlotte in 1927 and in a way I made amends towards her as one of my principal collaborators throughout my career, not because of anything else but strictly because she deserved it. She was an amazing designer… But going back to your misogyny remark or question- I am not against females nor alienated from them, their beauty, their intelligence- never was. My spouse ( : Yvonne Gallis) was a professional model. She is my rock. Furthermore, in my work I learned to listen to my women customers /my customers’ wives, especially when building residences…it would be unreasonable and catastrophic not to do so. A4D-D4A: Where do you stand politically, which are your political views? L.C. : Now, that question is like asking me what do I think about God (sigh)… It is complicated you see. The reason is simple- it was a complicated century, and I had to surf through many waves….What drove me was the passion for my work, the passion to create, to follow MY personal vision, and not the vision of a specific government or a political party. People jump to conclusions, ready for aphorisms…when you talk with Nazis, in Vichy about hosting half of a city in conditions of war, you become a Nazi for their opponents. When you argue with the Left about fair distribution of apartments with novel comforts to all social groups (and not the “fillets” to the fellow Socialists and the un-accessed guetto areas to the low-end working classes), you become Bakunin for the Conservative party. The only way to win is try to do you job, undisturbed and uncorrupted, faithful to you principal and forget administrations. After your self, people-and history- will give the final verdict and eventually decide for your penalty or your reward. A4D-D4A: Since you mentioned it, what do you think of God- I mean do you believe in God, after all? L.C. : (He thinks). When we finished and delivered the project in Ronchamp (: the pilgrimage church Notre-Dame-du-Haut), there was a blast. People- vicars, civilians, journalists, fellow architects, the higher clergy, ministers and politicians- were coming to me to say: “Sir, you are truly a man of God. This is a masterpiece.” Or, “Sir, this is not what a church usually looks like, but it does n’t matter- you proved you are a man of Faith, a fellow Christian”. The truth is I do not function this way in regards to my work process. I did not affiliate to God, or spirituality or faith, or Christianity. I just focused on the ASSIGNMENT and provided an indepth analysis of its factors and conditions- and therefore the final plan. I considered God as my COMMISSIONER NOT AS MY GUIDE, whatsoever- and I tried to convey the commissioner’s guidelines, as well as my personal aesthetics – please note that I use the term “aesthetics” following the Aristotelian principle AND NOT as a synonym of TASTE, as it is commonly done today. That does not mean I do not apply to ideology and conviction, as a human being. The Cabanon , down in Cap-Martin, is the result of my ageing self, contemplating on human life, on casualty, (I am half blind, as I am sure you know), and the importance of it- what a human being really NEEDS to be happy. I am a philosopher yes, but not a mystique. Maybe I am a Buddhist, who knows…but now it is too late to find out (smiles). In every succesfull work of design, the crowd tends to identify YOU, the designer with it, thinking of you like you are an artist. They would say: “ Oh! This is a Le Corbusier’s building”. Only that it is not mine. It is The Project’s. In design and architecture there is NO OWNER. There is a PROBLEM, A SOLUTION and the guy who provides that solution. A4D-D4A: Are you happy with your choice of materials in the buildings you produced throughout the years? A4D-D4A: You said earlier, that you have n’t been to Greece for many years now…Are you planning a visit in the near future? L.C. : I am bit confined right now and it is not easy for me to travel, as I used to. Nevertheless I would love to make a tour of the Mediterranean and eventually end up in Greece…I loved the area as a youngster, I conceived some of my very best ideas in Greece…I would love to visit Mount Athos again but also check on new constructions, the Niarchos Cultural Foundation site for instance…I heard access is difficult and one cannot have a stroll by the bay area that lays next to it and enjoy the sea- there is no direct connection to that?….That’s quite a shame, but I guess it is worth the effort.